HAHAH!! Sorry I couldn't resist the joke. I think there's a little Tobias Funke in all of us. I recently gave a sneak peak of these nails on IG and it's time to answer the question I posed there. 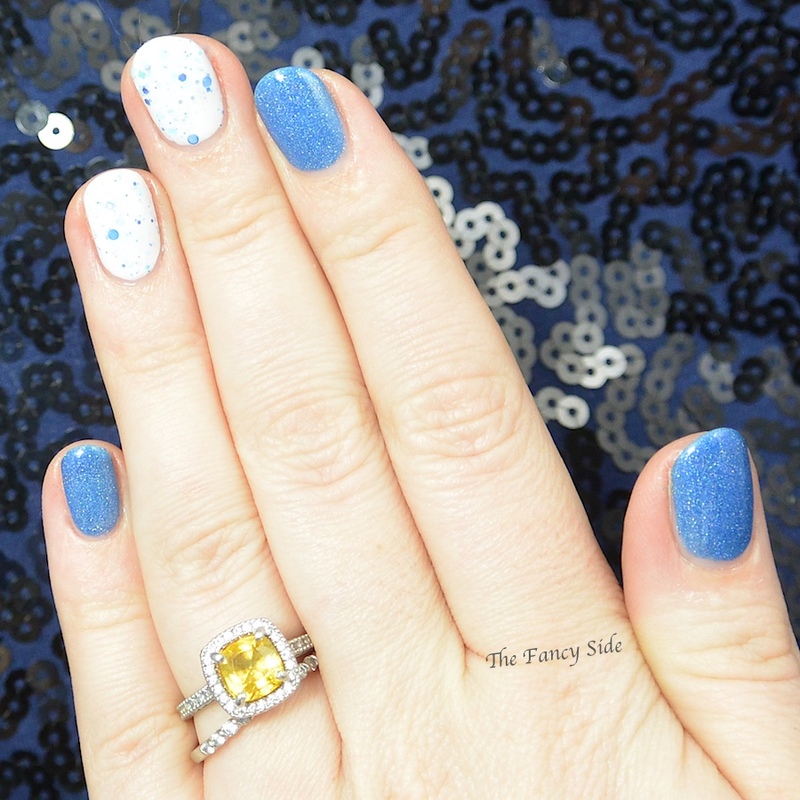 This is just a little skittlette look I put together using Philly Loves Lacquer Skoo-kill (blue holo) and Lacquerlicious (now Polish M) Christmas Snowfall. 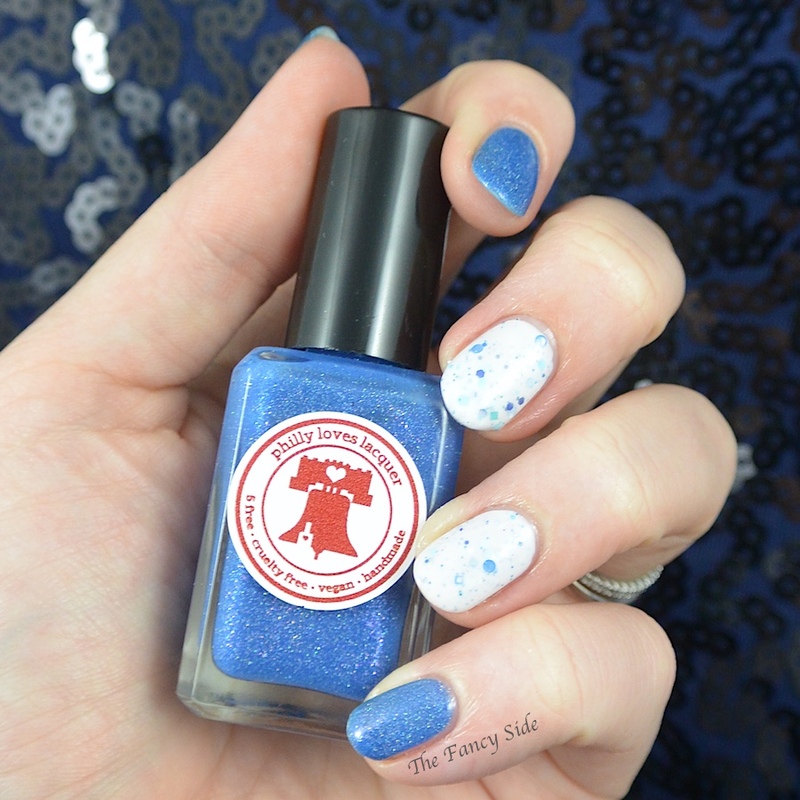 The glitter in Christmas Snowfall matches the blue of Skoo-kil perfectly. This was a fun little look that I really enjoyed wearing. I got a ton of compliments on it. I love this, the colors match so perfectly!! Thanks Makenna!! I did one of those ages ago. Maybe it's time to update! This is a really cute color combo! thanks! They were the perfect match. Thanks, I thought it was! I keep forgetting lacquerlicious changed their name. 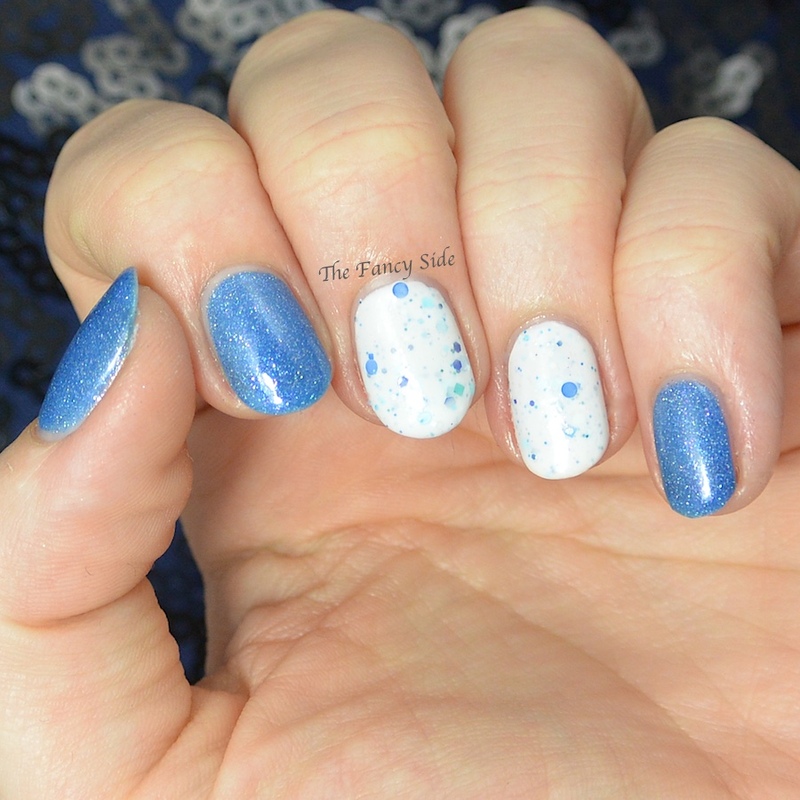 Either way, I love the blue glitter in the jelly base! I'm with you. I love white crelly polishes! The compliments were well deserved! This is an adorable mani! Right?? I love that show. Can't wait for more of it! Great combo! I LMAO'd when I read the title! Oh I just love your pairing of the glitter with the holo! I just love a good skittle, they usually last longer on me because it takes longer for me to get tired of them! I agree, its just a little more interest! So cute! Those two polishes really complement each other well. The crelly is so pretty! My favorite of the two :) But the colors look so good on you! I love a good crelly filled with glitters. Can't beat it. Crelly polishes are my favorite and the combo here looks super cute. Great job on it.